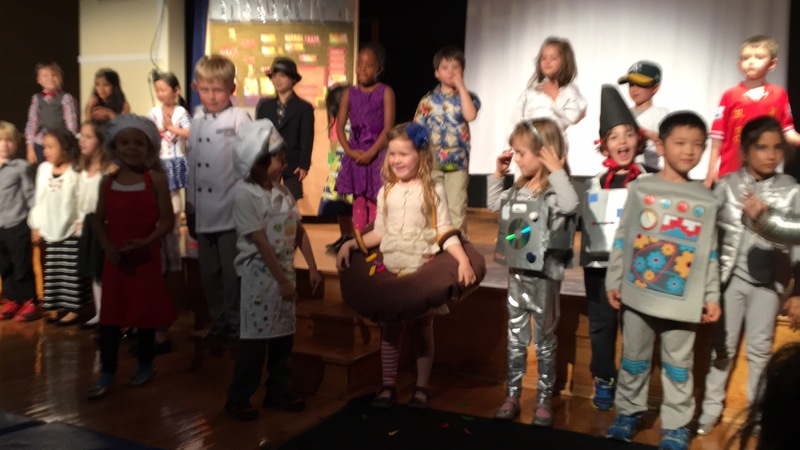 My middle daughter just performed in her kindergarten play – an adaptation of the book The Big Orange Splot. She was in the cupcake house, where everyone had a sweet tooth, and decided she wanted to dress like a donut. I loved the idea and immediately started trying to figure out how to make it happen. She had lots of good ideas, the best one being that the costume be made of an inflatable swim ring with fabric cover to make it look like a donut. She also wanted donut bracelets. 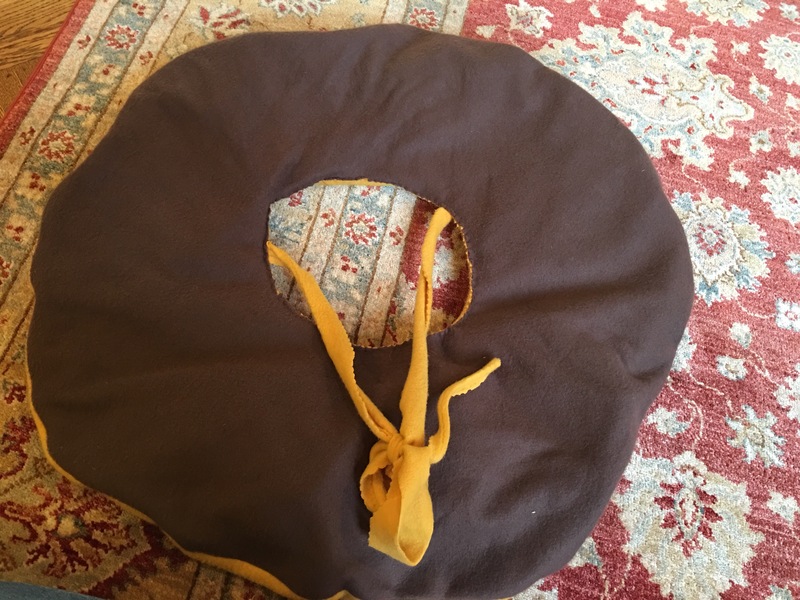 So I broke out the brown and gold polar fleece I bought for something years ago, and set about tracing the swim ring and drawing a donut bracelet pattern. 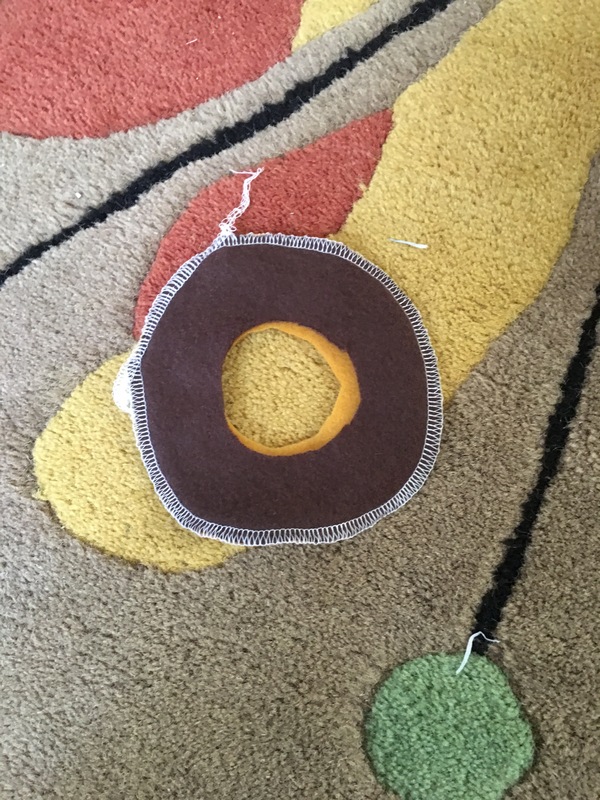 I serged the outside edges together, then turned it right side out and blanket stitched the inner circle together, leaving a spot for stuffing and then stitching up the rest of the way! 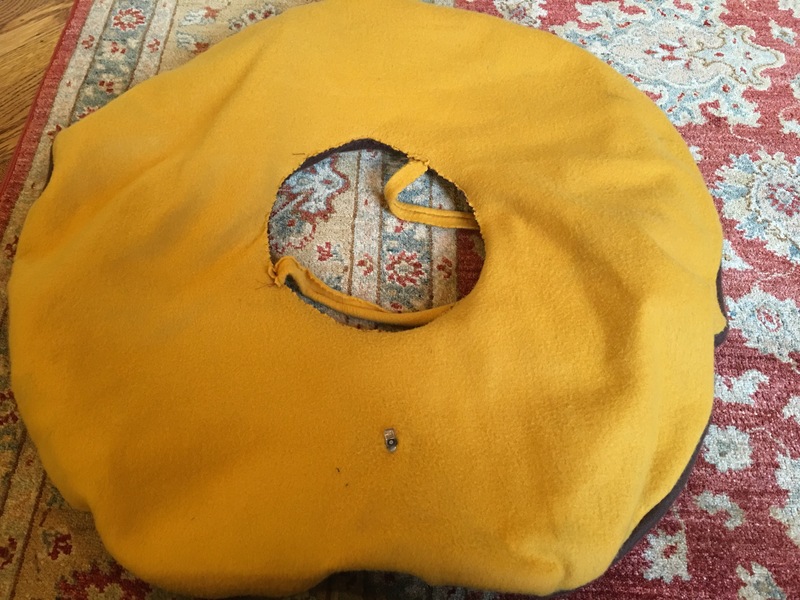 I did the same with the big donut, but stitched it shut directly around the swim ring, making a slit for the inflation valve to poke out. I hand-stitched on straps she could tie halter-style around her neck to keep it from slipping off. 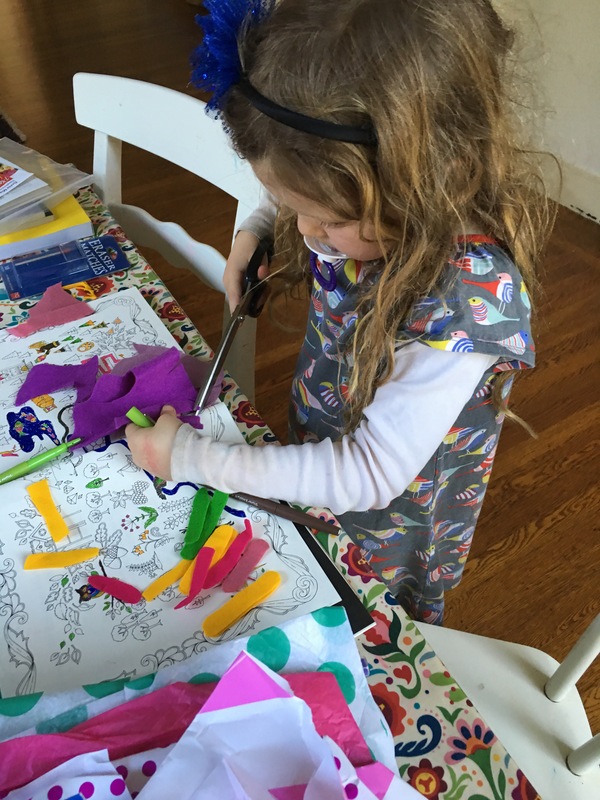 We cut a bunch of multi-colored felt “sprinkles”, which i thought would naturally cling to the fleece. I was wrong and they came flying off when she danced, causing a bit of a distraction for the other kids- live and learn! All of the children were comfortable and happy on stage, and the show was so charming and sweet. The teachers did a beautiful job of making the kids feel supported, and the children obviously had fun and worked hard to learn their lines and dances by heart. 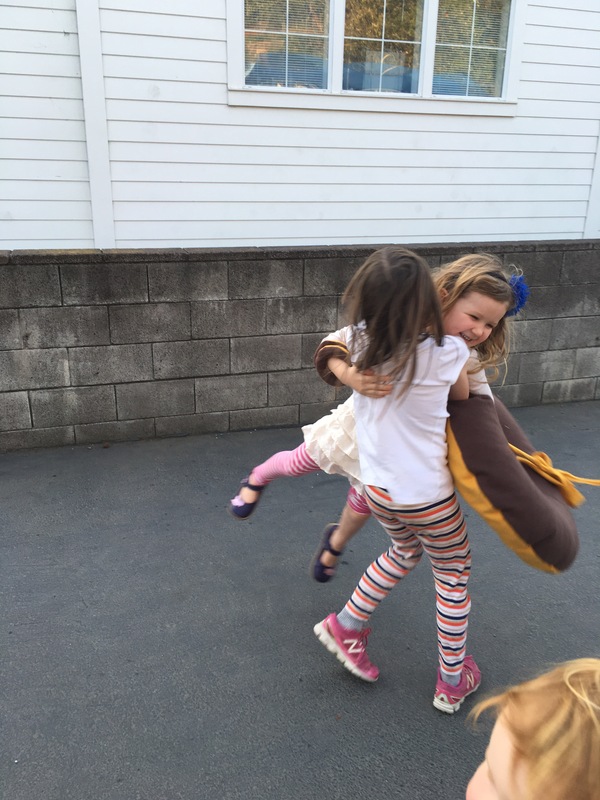 A second-grade friend was outside to congratulate my daughter after the show- hurrah!